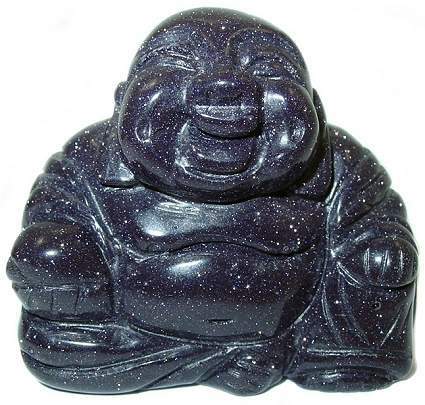 Happy Buddha carving in Blue Goldstone, always reminiscent of the star studded night sky. Beautiful sparkling Goldstone has myriad gold flecks. The Happy Buddha is a frequent Feng Shui cure, said to bring wisdom, prosperity and happiness.